Amy Sharrocks is a live artist, sculptor and film-maker who invites people to come on journeys in which their own experience, communication and expression are a vital part. She has making work about people and water for 10 years. I think about people and water. A lot. I have floated boats on swimming pools up and down the country, inviting people to step off dry land, to feel the motion of the water and see what that does to our thinking. I have dowsed 7 of the 22 rivers under London; dowsed them in groups so that as you walk through the streets, at times all your dowsing rods move together in one direction, pointing you to a different understanding of London’s geography and history, hurtling you back in time and place, re-orienting you in streets you thought knew well. 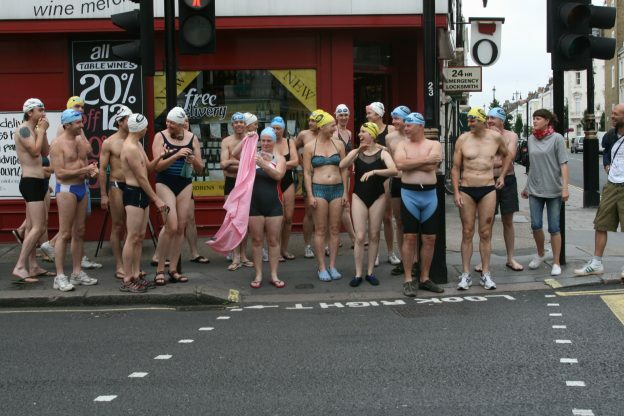 In 2007 I invited people to swim across London. 50 people joined me for SWIM, an adventure that started at Tooting Bec Lido at 5.30 in the morning, and traced a wobbly blue line across the brown cityscape to Hampstead Heath Ponds. SWIM was a journey to gain access to the water in this city, to open up the lakes, the private and the public pools to a tide of more and less competent swimmers, from all parts of the world and all walks of life. It was open invitation, as much as possible a free for all. Do you know The Swimmer? SWIM was a British response to Burt Lancaster’s odyssey across the American landscape of Frank Perry’s film, John Cheever’s short story: 50 swimmers dashing and stumbling across the capital with strokes and costumes of varying style and competence. As Anthony Gormley’s Event Horizon looked down on us from the roof tops, and just as Martin Creed’s runners took to Tate Britain, we took a human measure of this city in the wide strokes of our dripping arms. Throwing off our usual uniform and routine, we ran out into the capital in only a swimsuit, putting our rolls of fat on display, skin that hadn’t seen the sunlight for too long, all swimming home. Someone called it a flesh mobbing. 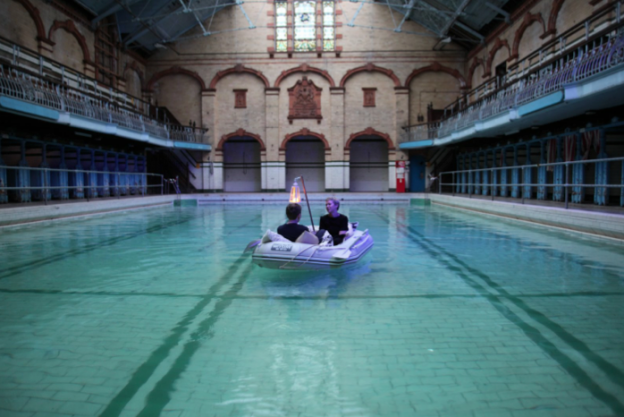 Since then I have spent many years travelling across Britain, Europe and Western Australia, gathering water for Museum of Water, a live artwork that invites you to consider water, to spend time with it, to really notice it as it moves through our days. 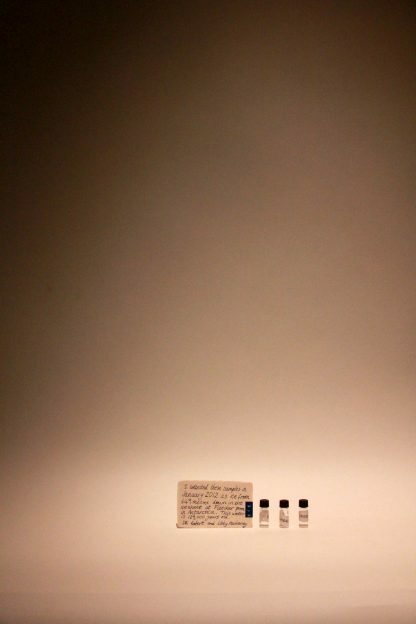 The public collections now hold over 1217 bottles; 1217 creative acts by people from all around the world, ways of reaching out to nature with our bodies and minds to cherish what we love about it. 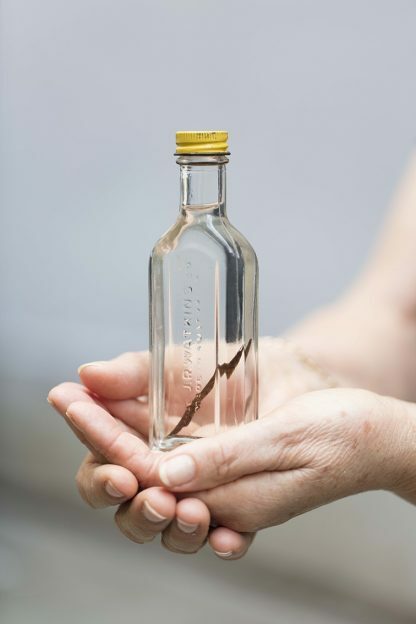 When people give water to Museum of Water, the accessioning process has no fixed time. It takes as long as it needs (to get everything said). While usually the conversation may take about 30 minutes, occasionally people have talked to me for an hour and a half about what is in their bottle. 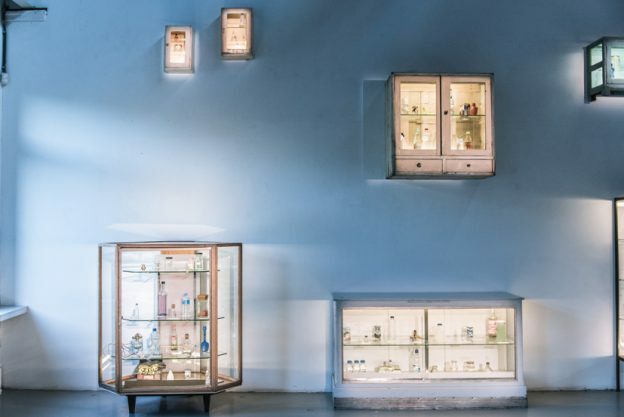 Museum of Water explores a different economy of care in the world, where people might listen carefully, where large institutions are able even to treasure evaporation. It traces the movement of water around the world, the very molecules, and considers each bottle’s boundaries, connecting us all through the movement of water molecules across our porous membranes. It reminds us that we all have permeable boundaries, that we are all connected through water that is slipping through our fingers, in constant process with our bodies, the constructs of our days and our built environment.